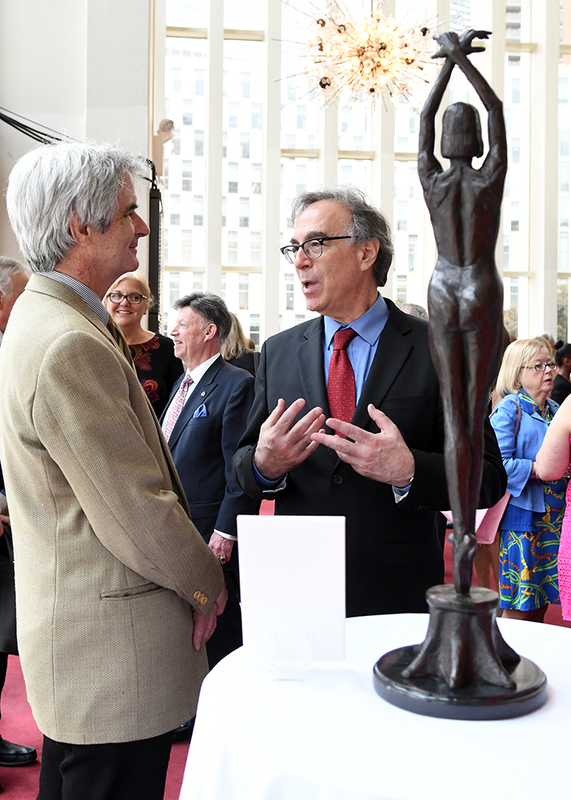 At the invitation of the Ballet Theatre Foundation, benefiting American Ballet Theatre, Mellon displayed three new balletic bronzes at this year’s ABT’s Golden Circle Luncheon held at the Metropolitan Opera House, Lincoln Center. 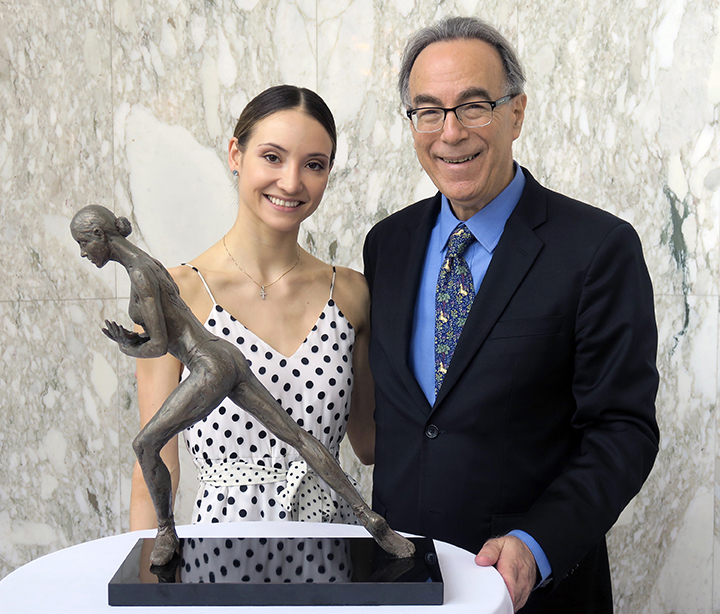 Each of these new limited edition works was created in collaboration with a dancer from American Ballet Theatre. 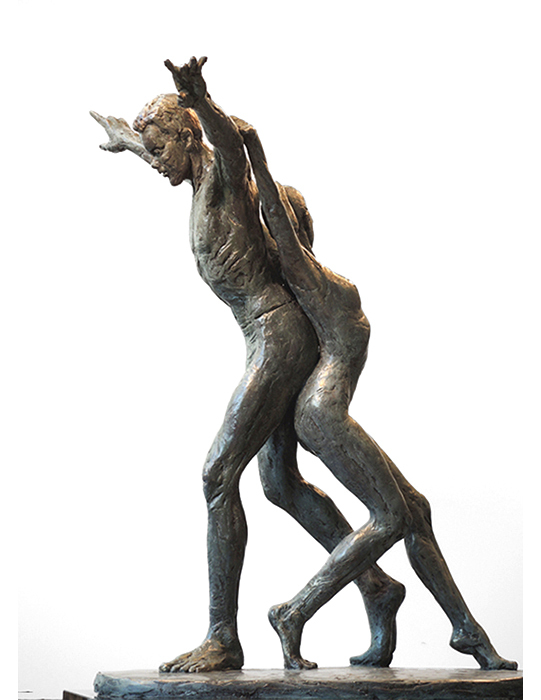 Together, the artist and individual dancer chose each pose. 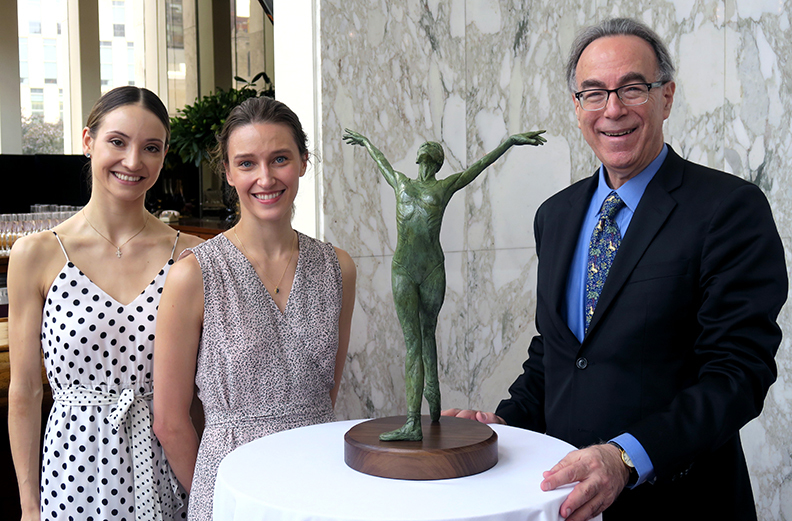 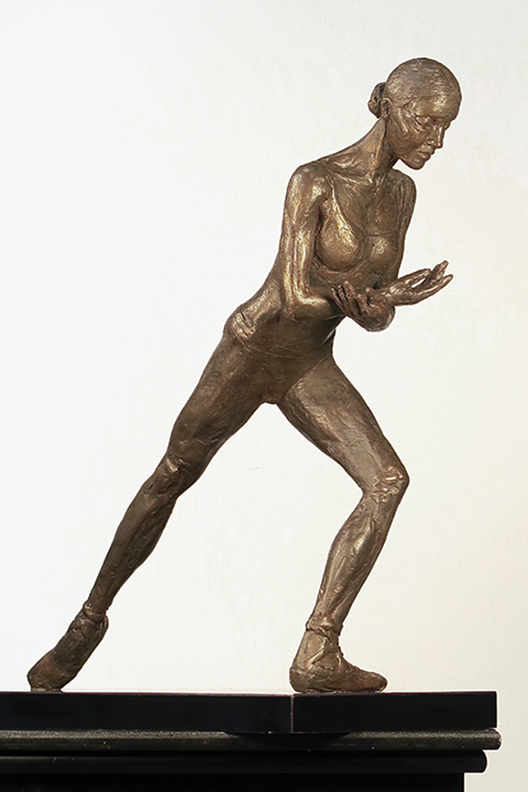 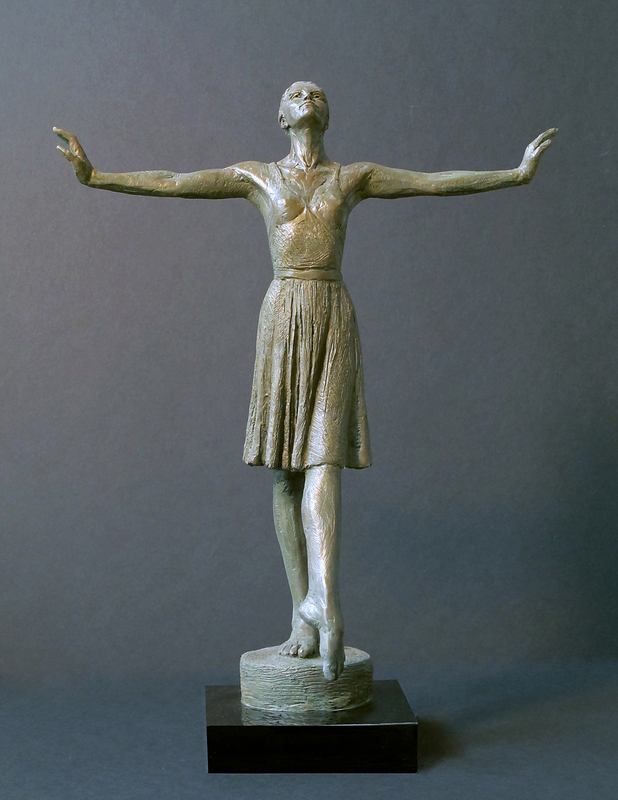 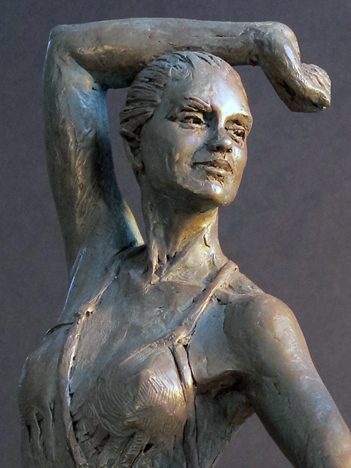 These new additions join 6 other ballet bronzes that Mellon has created working with ABT dancers. 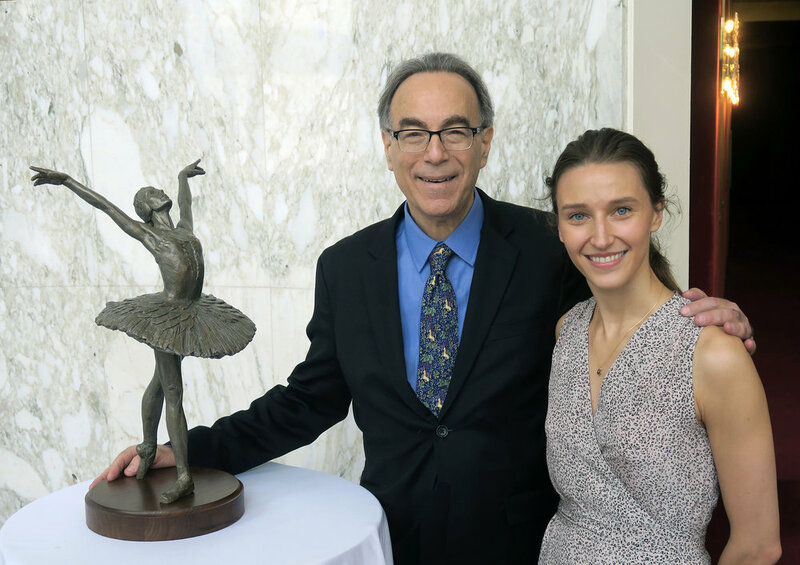 Marc and Hee with ABT Golden Circle Luncheon Honoree Pat Belote. 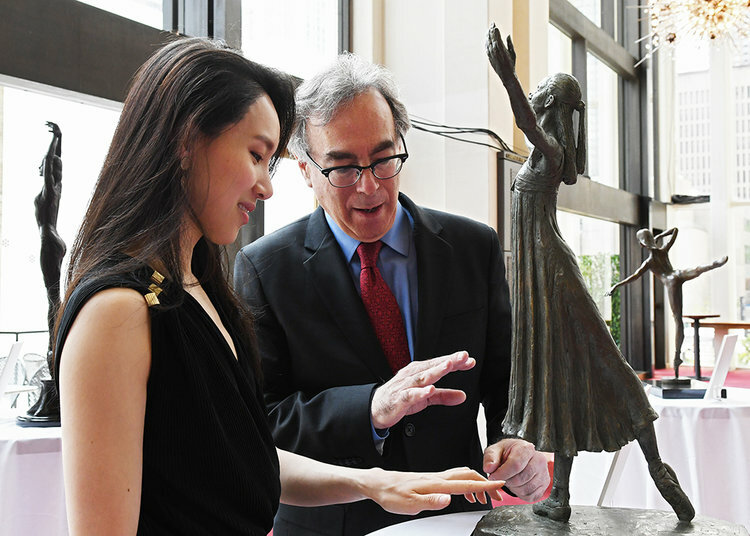 Marc with Hee Seo and legendary dancer, choreographer, and educator Jacques d'Amboise. 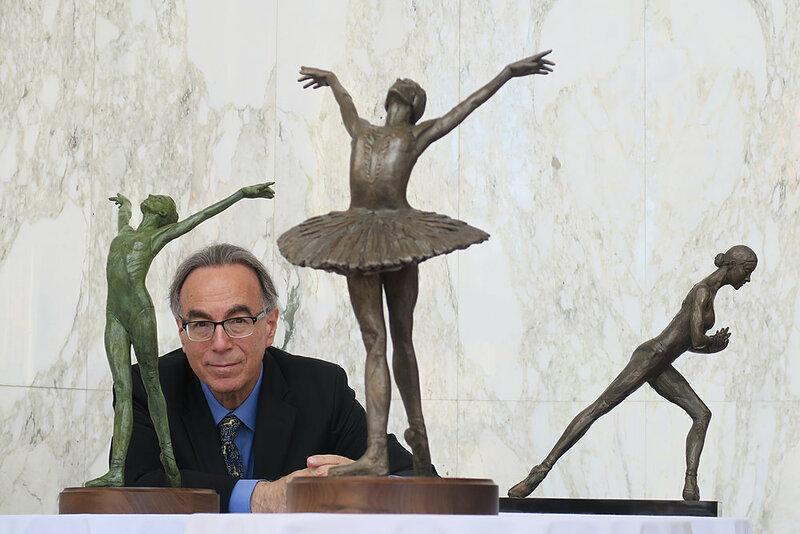 Sculptor Marc Mellon working on an early stage of a sculpture of ABT Principal Dancer Devon Teuscher, capturing a moment from Swan Lake.